Compact and Affordable, the Explorer one, COMING SOON. Explorer one is the newest addition to the Dage X-ray MXI family and is designed specifically for the sub €100k / 5 µm electronics inspection market. How does Explorer one differ from Quadra? Quadra is required for X-Plane, µCT and heated stage. Explorer one X-ray performance is 30 – 90 kV, up to 10W output power. 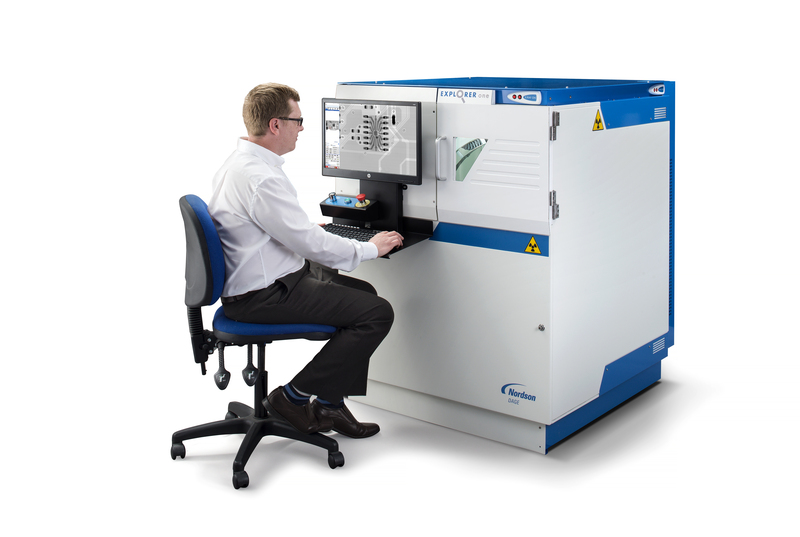 Explorer one can accommodate 300mm x 300 mm samples. It uses the same 2 x axis oblique viewing as Quadra and XD series to view from every side – sample rotation is not required. Voltage: 200-230 V AC single phase with earth. Frequency: 50/60 Hz. Power: 300W. Machine over current protection: 6A Type D circuit breaker. SCCR: 10kA. Network: Connect using shielded Cat6, RJ45 cable.